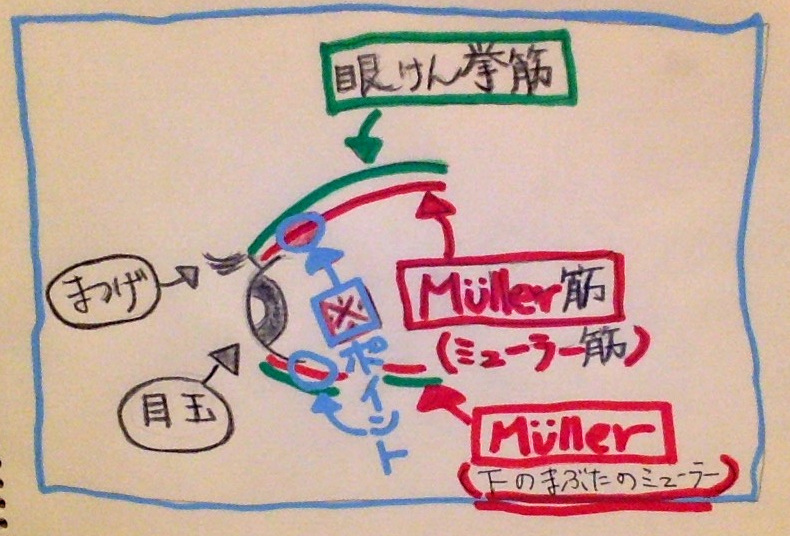 '' Muller Muscle'' 〜a New Aspect & a Slight Hope〜 | ジストニア手記 | りずむK / Rhythm K.
I was introduced to a New Doctor, an Ophthalmologist. there are MMs above and below your eyes. 1, when you pull the MM, the eye opens . 2, when you pull the MM a bit stronger , it pulls up the eyebrow. 3 when you pull the MM too strong, the eye closes. B) thus MMs are forcing my eyes to close shut. For Him to make sure he was right , he run a test. Putting a Certain Eye Drops in my upper eyelid. C) if it does, the eye drops are supposed to open my eyes . B) So the doctor would serve a surgery for the ‘ptosis palpebrae” for the upper eyelids. C) by Putting the MM together and/or strengthen the MM. that should Open my eyes easily . and the Lower eyelids MMs. even my eyes are open, there still are the ”Twitching ” issues. the Twitching of the eyelids ( too many Blinks ),and the Twitching of the Cheeks. There, he suspected, the lower MMs are working too strong , too tensed and grew too thick. B) so this time he dropped some eye drops which would ” Relax the MMs ” to the lower MMs. C) if it works the way it supposed to be , the Twitching were supposed to stop. that the eye drops stopped the Twitching of the eyes and the cheeks. C) Because the ” Tensed MMs” are the major reasons of the Twitching. it is way too complicated for me to comprehend . I could only say that there are a lot of relationships between those two, as of now. all my answers were Yes to that questions . He said that the MMs are the Center of Controlling all those. 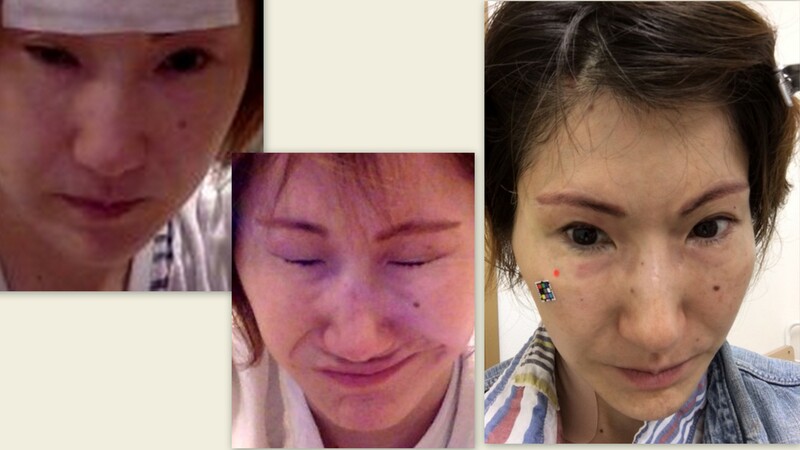 So, after the surgery and when my eye problems are gone, all those problems should be gone as well. After what I have been through, I really can’t be too optimistic. But I sort of king of saw the expected results , when he run the tests . SO I think I will give it a shot , trying not to keep up my hopes , so that I wouldn’t be disappointed again. and so that I would not disappoint my family and friends again. but I just wanted to let you know that I have found another ” slightest hope ” and I will give it a GO. the Doctor assured me that I have nothing to loose ( the chances of the risks ) but everything to gain. Please Cross Your Fingers , the surgery will be in August .